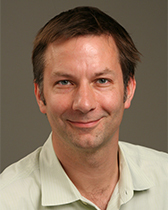 Matthias Doepke's research deals with topics in economic growth and development, political economy, and monetary economics. Recently, he has worked on theories of demographic change, family economics, the role of political and cultural change in economic development, and redistributional effects of inflation. He is a research associate of the National Bureau of Economic Research , editor of the Review of Economic Dynamics, and an associate editor of the American Economic Review.